The first time I bought leeks, I neither knew what they were nor how to cook them. Well, most of the times, I buy vegetables without knowing how to cook them. This comes out of frustration of mundane use of the usual vegetables – cauliflower, carrot, cabbage. Sporadic availability of the Indian vegetables is also part of the reason. Since I learnt that they belong to the onion family, I decided to substitute them for onions in a soup. Even while I was sautéing, I knew I will love this vegetable. And I did. Though it wouldn’t hurt substituting leeks for onions in most of the recipes, their subtle, but sweet flavour will stand out without overpowering the other flavours. Leeks are more apt for people who hate the strong taste of onions. 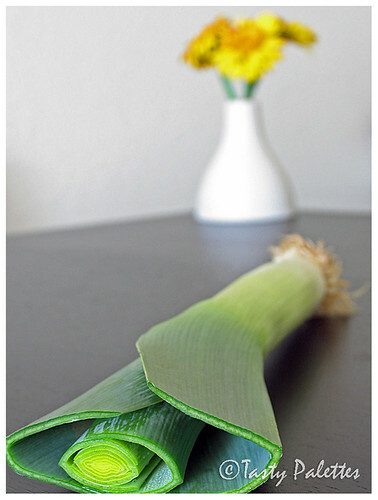 More about cleaning leeks here. The moment I laid my eyes on this recipe in Vegetarian Times, I knew I had to try it. I did tweak the recipe a little bit. But one bite was enough to win over my heart. This one is a keeper. Firm or extra-firm tofu – ½ lb. Make the crust by mixing all the ingredients together and pressing down into a springform pan. I used two 4.5 inch mini springform pans. Bake them for 8 mins. Reconstitute sun-dried tomatoes in hot water, if they are not packed in oil. To make the filling, heat oil in a pan, sauté leeks, garlic and chillies until softened. Mash tofu with a fork in a separate bowl. 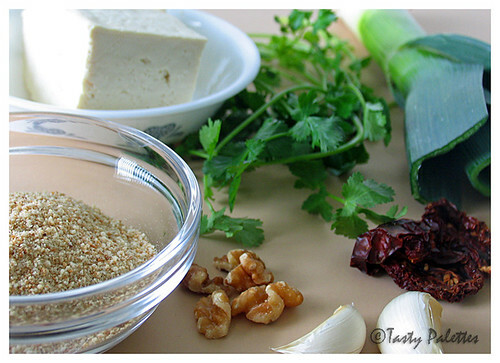 Add salt, sun-dried tomatoes, bread crumbs, walnuts, cilantro, lime juice and sautéed leeks. Spoon the filling into the crust and bake ‘em for 40 mins. Cool and serve with a side salad. Vegan-friendly tip: For the crust, use 1/3 cup of soymilk and omit the egg. Suganya,that is gorgeous.Leeks are like spring onions but big and thick.Quiche looks gorgeous.Thanks for the recipe. 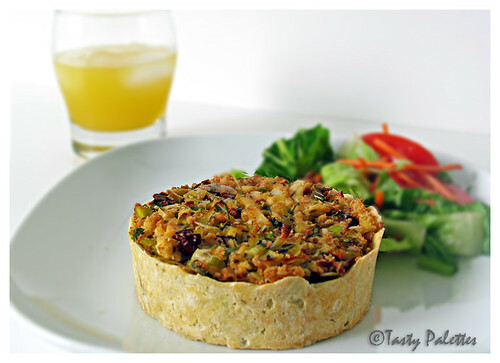 Gorgeous pictures as always...and that leek tart looks absolutely delicious. I also shy away from using leeks, so I'm looking forward to your other ideas. This section is so much fun! First time here. A wonderful blog with beautiful pictures. your pics and the recipe looks so unique. very creative. I am so glad you started blogging. Amazing pics. This tart is looking really great. 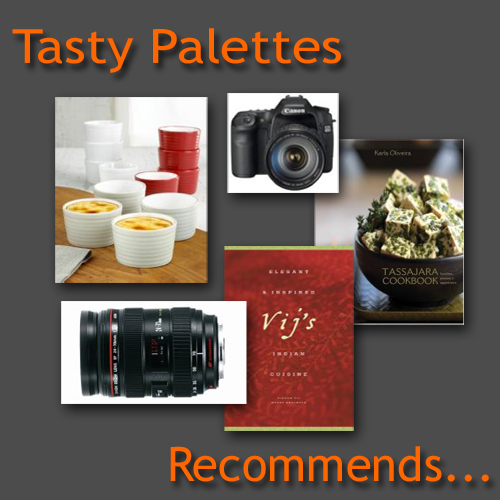 Nupur, I am hoping to do more recipes in this section. Let's see how far i can do it. Wow, you take fantastic photos! Just lovely! that is areally fabulous recipe. i have bookmarked it. thanks. well...was waiting to try out one of your eye popping, mouth watering recipes before putting down any comments...but this one i could not resist, on complimenting you on your excellent workmanship....excellent!!! Bee, Do try this and lemme know. Sunitha, Thtz so nice of you!! Your pictures are so good. I am really enjoying your site. Browsed around quite a bit today. Inspirational! i love the pictures! congratulations for your yummy blog!